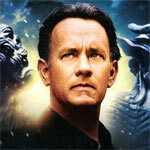 Sony Pictures has announced the date and released artwork for the latest in the Robert Langdon series, Inferno starring Tom Hanks, Felicity Jones and Ben Foster and directed by Ron Howard. Click on the link below or image to the left to check out the features and artwork. Angels & Demons is technically better than The Da Vinci Code in many regards especially in terms of pacing and a tighter story and while Tom Hanks delivers in his performance and Ewan McGregor and Stellan Skarsgard make for fine supporting roles. This 4K mastered release of Angels & Demons is certainly an upgrade over its Blu-ray counterpart, HOWEVER, it’s not a huge one nor something worth the $15 price point for a release that didn’t bother porting over the features (even if they were placed on a second disc). Still, if you have the proper equipment you’ll see a good difference.